Greg Capullo has knocked me out on his new DC Comics artwork since the reboot occurred. I've enjoyed his rendition of Batman a lot, but I think if we get to see him tackle some of the other DC characters, we're in for a treat. These variant covers are good examples. 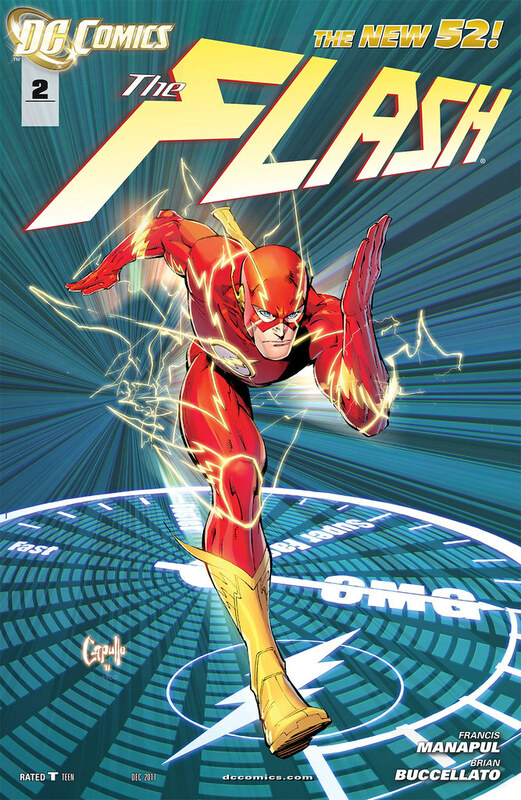 Flash #2 featured Barry Allen warping through space and time. I love the speed force lighting, the dial on the bottom (blowing out the scale OMG), and the colors are really good as well. 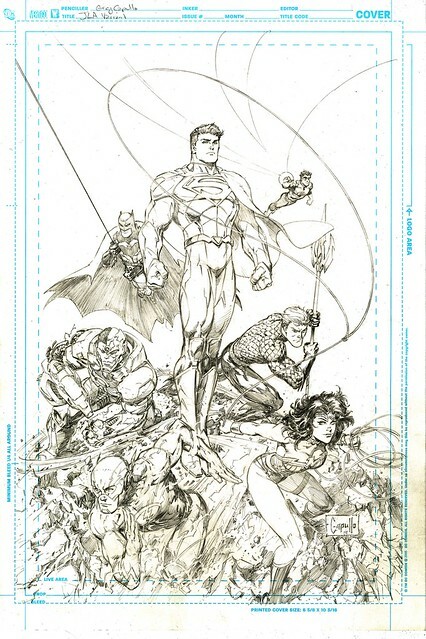 Here are the pencils to this cover, from Capullo's Deviant Art website. 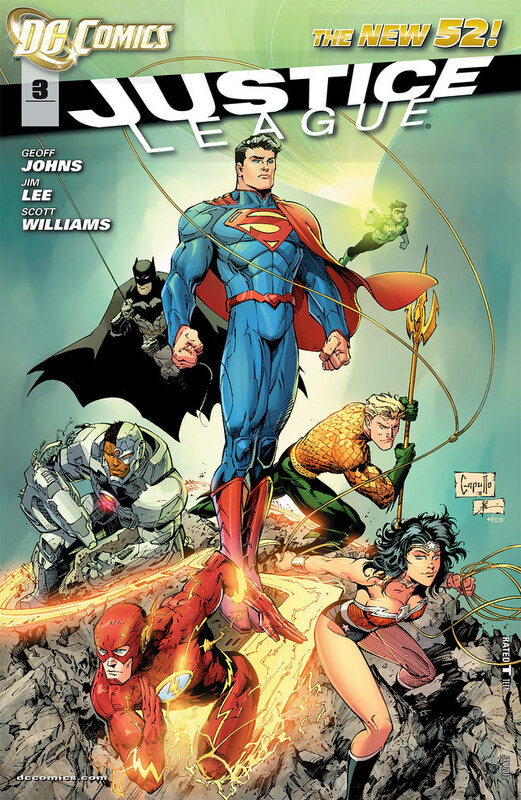 Justice League #3 features Capullo's take on DC's pantheon. He's got a great take on Superman and Wonder Woman. The pencils to JL #3. 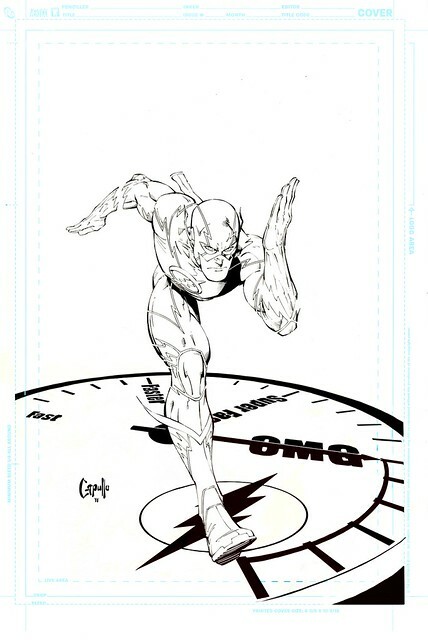 I really would love to see Capullo draw the Flash after he's done with Batman. Hopefully he will stay at DC Comics for a long time. Nuff Said!